Mumbai, October 27, 2017: It’s soon going to be that time of year again. Come November, the city will play host to the most anticipated annual literary festival, Tata Literature Live! The Mumbai LitFest 2017. As with every successive edition, this year’s festival is set to be bigger and better, with over 100 authors and thinkers having already confirmed their presence at the four-day literary extravaganza, to be held from 16th November to 19th November at the NCPA, Nariman Point, and Prithvi Theatre, Juhu. On the eminent roster for the 8th edition of the festival is three-time Pulitzer award winner Thomas Friedman, speaker extraordinaire and author of The World Is Flat; Marcus du Sautoy, Professor of Mathematics at the University of Oxford, who turns math into entertaining prose in his book Finding Moonshine; Professor Anil Gupta, India’s very own revolutionary man who helps expedite socially-relevant solutions that target communities at the grassroots level, and economist Arun Shourie. Also lending added grace to the festival are the indomitable Dame Margaret Drabble, award-winning novelist, biographer and critic; and Catharine MacKinnon, feminist scholar, lawyer, educator and activist, who is respected for her legal work in the arena of sexual harassment. A host of personalities, from activists to academicians, from bureaucrats to Bollywood stars, and many others in between, will shine at the festival this year. Catch Devdutt Pattanaik connecting the dots between mythology and board room with ease. Whether you love numbers or neural connections, mythology or history, corporate speak or government speak, world views or mind views, we have got it all – British playwright and novelist Nell Leyshon; actor, director and playwright Girish Karnad; cricket commentator and journalist Harsha Bhogle; Y V Reddy, former RBI governer and author of the memoir Advice & Dissent: My Life in Public Service; Member of Parliament and economist Jairam Ramesh; author Nayantara Sahgal; Member of Parliament P Chidambaram; journalist and founder of ThePrint, Shekhar Gupta; Gábor Lanczkor, a scholar of the Hungarian language; Gary Shteyngart, an American writer specialising in satirical compositions; Shimon Lev, an Israeli artist, writer, photographer, curator and researcher, and S Y Quairishi, Former Election Commissioner and author of An Undocumented Wonder: The Making of the Great Indian Election. 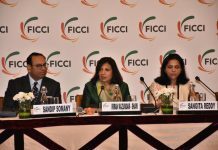 Like every year, engaging and insightful conversations will be the mainstay of this festival. In Fiction as Fact, AC Grayling, Thomas Friedman and Uday Mehta deliberate on what it means to live in a post-truth world. In the session aptly titled Words of Inspiration, Dame Margaret Drabble, Frederic Beigbeder, Gary Shteyngart and Sergio Chefec talk about the books that drove them to write. In Why do short stories get short shrift? Francine Prose, Mahesh Rao, Tejaswini Apte-Rahm and Chandrahas Choudhury discuss the hierarchy of short stories in the literary world. Catherine Mackinnon, Vrinda Grover and Kalpana Sharma will discuss the legalities of sexual harassment in No means No. In Con Banega Crorepati, N Ram, R Gopalakrishnan and YV Reddy will talk about whether scams are here to stay. Boria Majumdar will take the audience through sport history in 100 Years of Indian Sport through Artefacts. Akshaya Mukul, Arun Shourie and Thomas Blom Hansen give their take on religious ideology in The Angry Tide. Eike Schmidt, Eugene Tan, Tristram Hunt and Tasneem Mehta discuss how tradition is preserved in a modern era, in Museums in a Digital Age. From its inception, Tata Literature Live! The Mumbai LitFest has honoured emerging and established Indian authors. The Tata Literature Live! 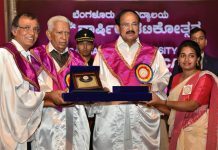 Lifetime Achievement Award celebrates outstanding contributions to Indian literature. Past recipients of the award include Amitav Ghosh, Kiran Nagarkar, MT Vasudevan Nair, Khushwant Singh and Sir VS Naipaul. The Tata Literature Live! 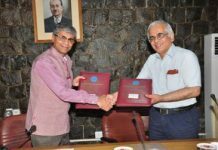 Poet Laureate Award recognizes significant accomplishment in poetry and was conferred on Gulzar in 2016. In the literature-for-children category, the Big Little Book Award, instituted last year in association with the Tata Trusts’ Parag initiative will honour distinction in two categories – author and illustrator/artist – spotlighting one language each year, in the author category. The 2017 award celebrates Bengali literature. Other awards that honor extraordinary achievements in the Indian literary universe are the Tata Nexon Literature Live! First Book Award, Tata Literature Live! Book of the Year, Tata Literature Live! Publisher of the Year and Tata Literature Live! Business Book Award. Tata Literature Live! The Mumbai LitFest 2017 will be organized across two iconic cultural venues – the National Centre for the Performing Arts (NCPA), Nariman Point (16th to 19th November 2017) and Prithvi Theatre, Juhu (18th and 19th November 2017). Entry to the festival will be free and on a first-come, first-served basis. 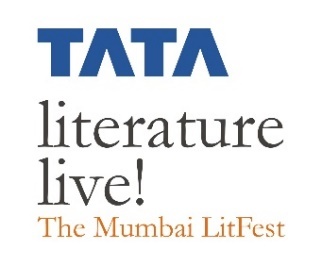 The Tata group is the title sponsor of Tata Literature Live! The Mumbai LitFest, Tata Nexon and Tata Consultancy Services are the co-sponsors, and Landmark is the book store partner. The festival is conceived by Anil Dharker, Founder and Festival Director of Literature Live!, which organises the festival with the support of the Tata group.